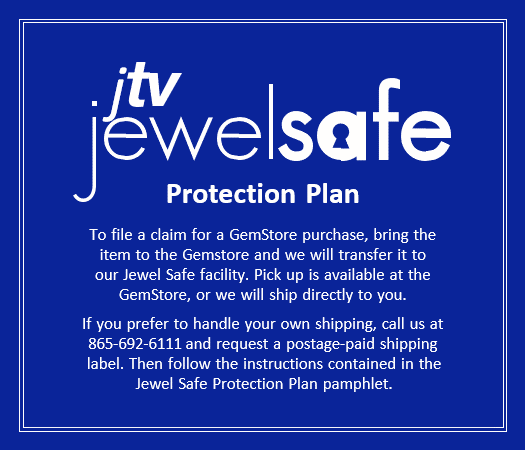 Jewel Safe™ Protection Plan is a 2-year protection plan for jewelry, loose gemstones, and watches sold at JTV®, the Gemstore, on JTV.com, and through this website. Customer service is available 8 a.m. EST to 11 p.m. EST Monday thru Friday for your convenience. This Protection Plan begins on the date of order shipment and covers most damage from normal wear and tear, moisture damage for watches and includes a ring re-sizing for rings. Customers will never pay any out-of-pocket expenses, including shipping. Jewel Safe™ can be transferred to any new owner of the piece of jewelry or watch; Jewel Safe™ sticks with the product, not the purchaser. If your jewelry or watch cannot be repaired, it will be replaced with a check for the full purchase price, plus applicable taxes paid. 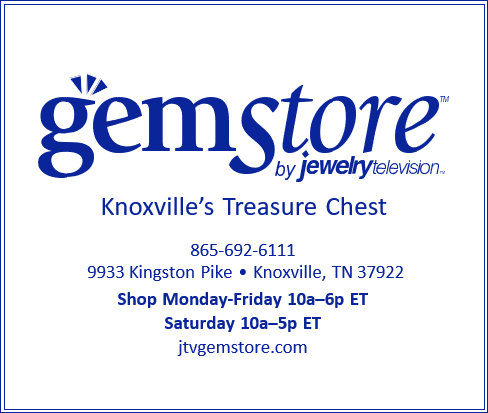 For items purchased at the Gemstore, call (865) 692-6111. If purchased at Jewelry TelevisionTM (JTV.com), call the toll free number (800) 366-4010 for a specialist that can further assist you. Your jewelry, gemstone, or watch is repaired and returned to you. If it can’t be repaired, it’s replaced! We know how much our customers value their jewelry, gemstones, and watches, that’s why we offer Jewel Safe™. This is protection for 2 full years that will cover against almost all normal wear and tear. We want to help our customer protect their investment in their jewelry and watches purchased from JTV®, so all customers who feel like this matches their frame of mind should purchase Jewel Safe™.